Is Rick Perry Smarter Wearing Glasses? Texas Gov. Rick Perry is worried about me. I found that out when he talked on Sunday’s Meet the Press about his “family … the “90 million people that are out of work.” What he doesn’t know, however, is that in April the United States had 9.8 million unemployed people—a horrifying statistic but 80.2 fewer people than Perry cited. The Bureau of Labor Services did show 92.6 million people in the U.S. over the age of 15 who were “not in the labor force.” I’m one of those because I retired several years ago. And I don’t plan to look for a job. Perry doesn’t need to worry about me. I’m in good company: 36 million other people are 65 or older. Another 11 million teenagers, age 16 to 19, are unemployed—not looking for jobs. In the 20- to 24-year-old catgory, 6.8 million people, many of them still in college, aren’t looking for jobs. The rest are stay-at-home parents and/or spouses, early retirees, people who may have inherited money, and anyone else who doesn’t need or want to work. To be officially “unemployed,” someone without a job had to make an effort to get one within the four weeks before the BLS survey. Right now the unemployment rate is 6.6 percent, evenly divided among those who haven’t looked for employment in the past year and those who have searched for work in the past year but not in the past four weeks. Of those 9.8 million people, 6 million are actively searching for jobs, and 2.2 million are “marginally attached” to the labor force, those who looked for work within the past year and not the past four weeks. Others are “discouraged workers” who quit looking for jobs because they think there’s nothing available. Perry is also worried because “there are more women out of the workforce now than at any time in our history, that’s just not right.” He’s correct: it’s not right. It’s the lowest rate since 1988, but the women’s labor force participation is almost twice as much as it was in 1948. Just like the overall labor force participation rate, the percentage of working women peaked in early 2000 and declined after that because the country’s population is aging. The decline is expected to continue because of that reason. 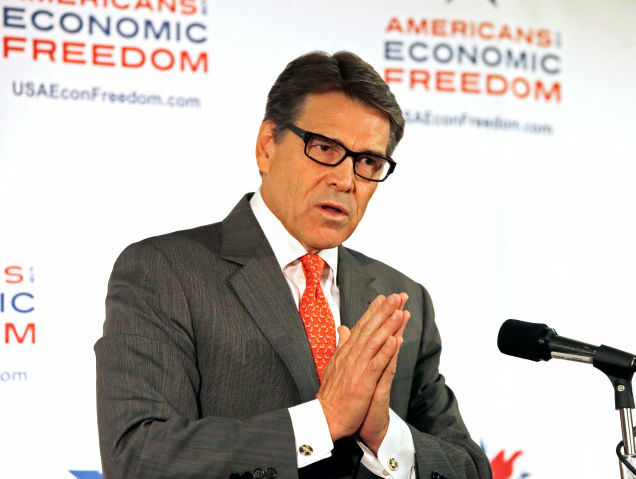 If Perry wants to worry, he should consider employment in his home state of Texas. Although he boasted about 95 percent of Texas workers earning above the minimum wage, the state was tied for first with Mississippi in 2010 for the percentage of hourly workers earning at or below the minimum wage. At that time, 9.5 percent of people in Texas earned at or below minimum wage. By 2013, Texas got better, moving to fifth worst among 50 states with the percentage dropping to 6.4. States with higher percentages are Tennessee (7.4 percent), Idaho, Arkansas, and Alabama. Perry, however, is worried only about the “maximum wage,” not the minimum wage. The appearance on Meet the Press—and the new glasses—are just part of the governor’s attempt to reinvent himself for the 2016 election after the gaffes of 2012. 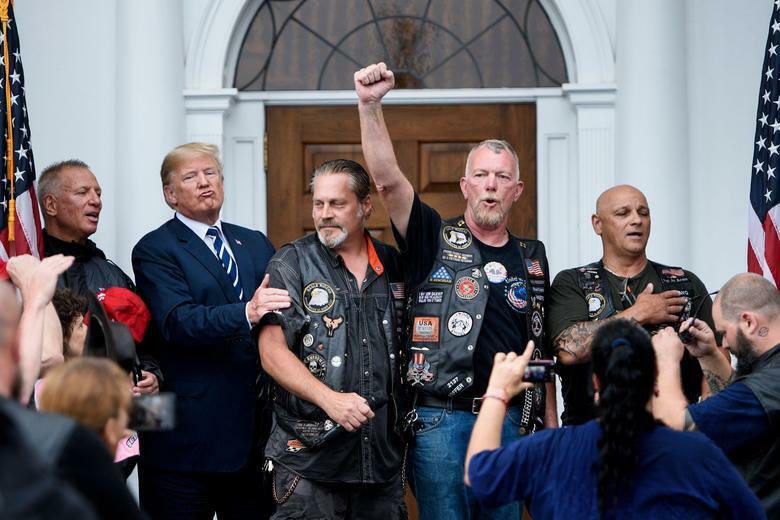 He’s been on Jimmy Kimmel, traveled out of the country, and appealed to the Conservative Political Action Conference. He even spent some time at MSNBC with Joe Scarborough. The “oops” times of cuddling a bottle of maple syrup in Vermont and the inability to remember three items—a traditional check for Alzheimers—might disappear if he had figured out how many people in the country are unemployed. That’s not likely to happen with comedians like Jon Stewart tracking such moments like the ones on last night’s The Daily Show. About Perry’s transition to a wiser man, Rob Stutzman, a California-based Republican consultant, said, “The margin for error is small. He needs to outperform those perceptions immediately and dramatically or he looks like the same guy in ’12.” Last night he did. His current problems may not be as serious as those for New Jersey Gov. Chris Christie, who closed an important bridge and failed to spend a large percentage of funds for Superstorm Sandy after over a year, but he’s still being investigated by a grand jury. He wanted to unseat Travis County District Attorney Rosemary Lehmberg and thought that he could succeed after her arrest for drunk driving. She refused to quit, and, as punishment, he vetoed $7.5 million in state funding for the public-integrity unit that traces fraud and corruption. The Texas GOP has put the dismantling of the Public Integrity Unit into its platform for over three decades. One of its cases was the criminal case against former Rep. Tom DeLay for money laundering to hide corporate donations to state GOP candidates. Getting rid of Lehmberg would also mean that Perry could have named her replacement. Lehmberg’s office was investigating the Cancer Prevention and Research Institute, a pet project of Perry’s, when he decided that she had to go. Eighteen scientists, including the Nobel laureate director, had resigned in protest from the multibillion-dollar agency, claiming that investment decisions were made without scientific review with tens of millions of dollars going to Perry supporters and donors for their business ventures. A pending case concerns the indictment of an agency executive for an improperly awarded $11 million grant. Prosecutors only need to show that Perry offered considerations in return for actions by District Attorney Lehmberg for him to be determined guilty of breaking a state law. A Travis County judge said that Lehmberg was told that funding would be restored, even after the veto, if she resigned. Grand jurors could easily see this behavior as bribery or coercion. Last year Texans for Public Justice filed a complaint for alleged abuse of power. That grand jury’s term expired, and a new one has been seated. 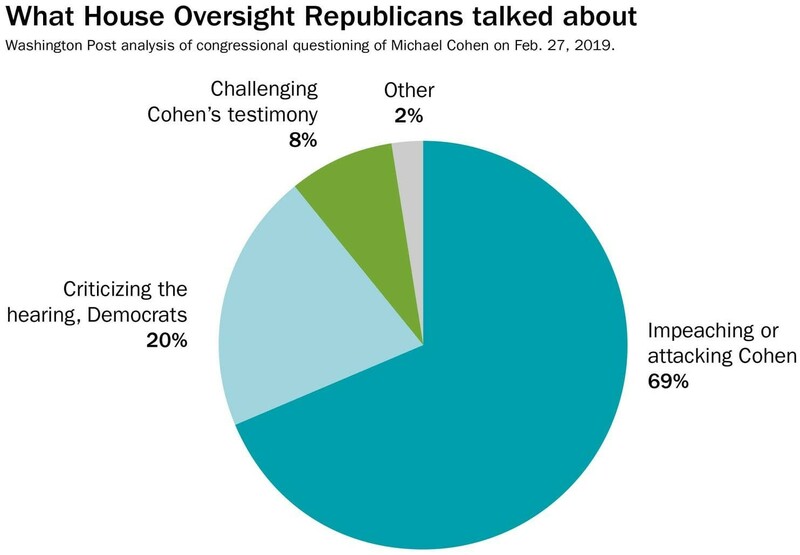 Technically, a guilty charge would put Perry in a worse position than Christie because obstructing justice is determined worse than blocking a thoroughfare. Unless, of course, the federal government discovers that Christie offered favors in exchange for Superstorm Sandy funds. Perry’s latest move is to pay Toyota $40 million to move from California to Texas. That’s $10,000 for each job, the highest rate of corporate welfare in a decade. The last time Texas was in fiscal trouble, Perry used billions of dollars in federal money for a bailout. 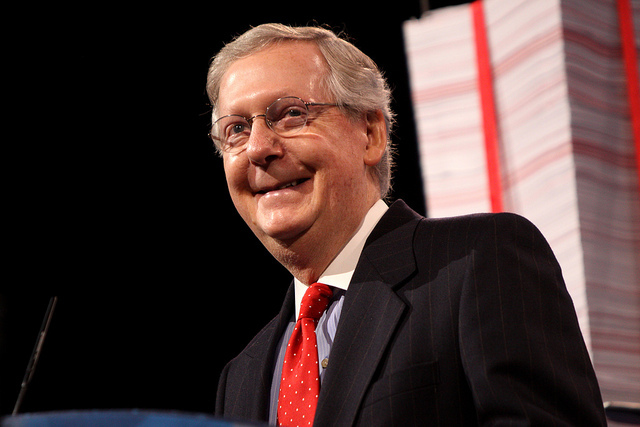 His refusal to take Medicaid, however, stops him from using that solution again. 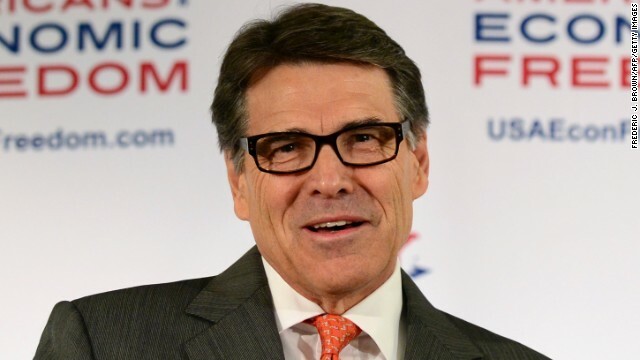 Humorist Andy Borowitz wrote, “With an eye toward a Presidential run in 2016, Rick Perry, the Texas governor, is hoping that a two-pronged strategy of wearing glasses and not speaking will make him appear smarter to voters.” Perry forgot the second suggestion. Decisions for both Christie and Perry may decide the fate of Jeb Bush. With them out of the way, the GOP might be forced to consider a third Bush for a presidential candidate. But then Rick Perry can stop worry about me.